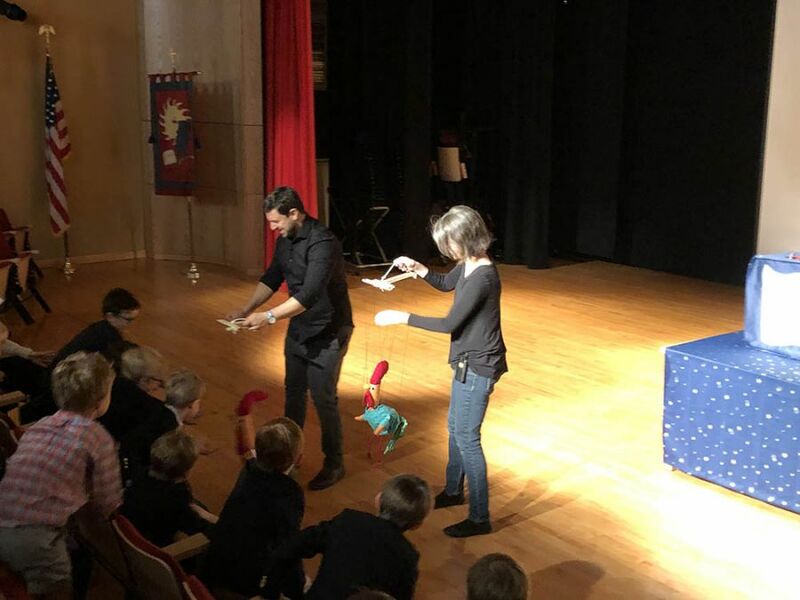 Acclaimed children's book author and illustrator David Ezra Stein and his wife Miriam recently treated boys to a presentation on writing that included a fun puppet show, based on David's book Interrupting Chicken. After the show, David read the sequal, Interrupting Chicken: The Elephant of Surprise to the boys and detailed how he wrote the book. The boys were intrigued and asked several questions about his writing and illustratng process. This special experience was made possible by the Saint David's Parents Association Author Series committee, led by Liz Carey and Ann Roberts. For more information, see the Headmaster's Blog. Saint David's sixth graders premiered their original astronomy research presentations before an audience of parents and faculty at the Hayden Planetarium. On a recent field trip to The Met, fourth graders examined bronze work and Mingqi burial objects that reflected the Confucian idea of filial piety. Fifth graders studied bacteria as the last part of their DNA and experimental design unit. See video of highlights from Huzzah! Huzzah! a Play about the Making of America. Third graders raced their mini cars in Friday's Nerdy Derby competition. Boys were treated to two special music sessions recently.